Pregnant women are encouraged to eat a healthy, well-balanced diet when they’re expecting, and ideally even before conception. 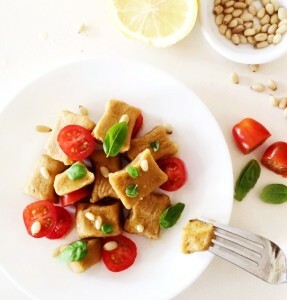 A wholesome diet can provide all the necessary vitamins, minerals, and nutrients for the developing baby, and maintain the mommy in optimal health. 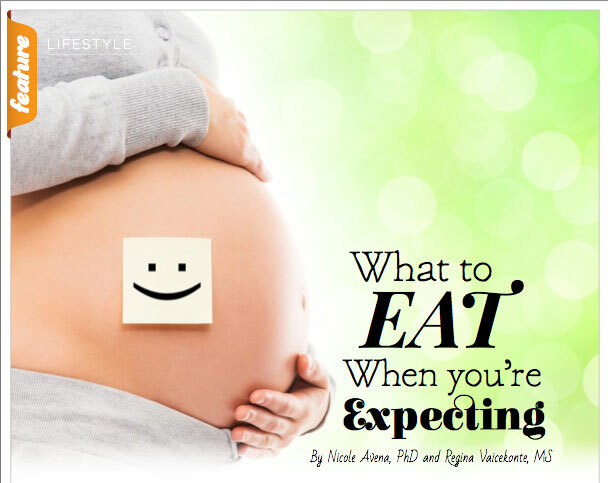 However, with all the conflicting advice, fad “superfoods”, controversial opinions about animal vs. plant food sources, food scares and often irrational and unstoppable cravings, how do you know what to eat when pregnant? 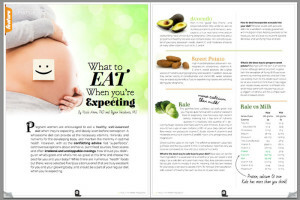 How should you distinguish what’s good and what’s not-so-great at this time and choose the best for you and your baby? 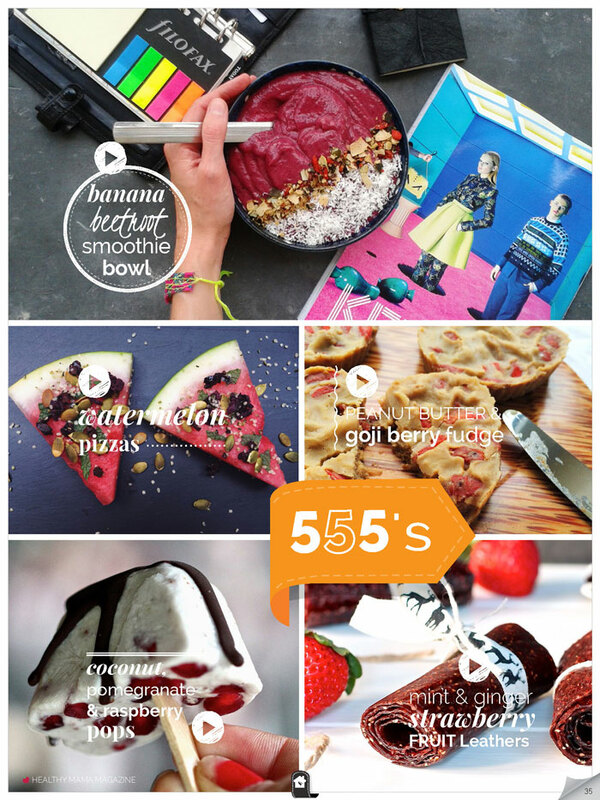 While there are numerous “health” foods out there, we’ve selected five (plus a bonus one!) that are truly excellent for you and your growing baby, and should be a part of your regular diet when you’re expecting. 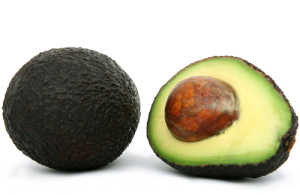 Rich in the “good” fats (mono- and polyunsaturated fatty acids) as well as numerous vitamins and minerals, avocado is a true nutritional mine and an outstanding food choice during pregnancy. One avocado has about 30 grams of healthy fats and also contains folate, iron, almost a quar- ter of your daily potassium needs, vitamin C, and moderate amounts of many other vitamins, such as A, E, and K.
High in carbohydrates, potassium, iron, magnesium, phosphorus, vitamins A, C and K, sweet potatoes are a great source of nutrients during pregnancy (and beyond). In addition, because they contain plenty of carbohydrates and vitamin B6, sweet potatoes may be especially beneficial if you’re experiencing nausea and vomiting during your pregnancy. This glorified (and justifiably so) leafy green that you may be quite familiar with is another excellent food for pregnancy. Kale has a very high nutrient density, meaning that it has tons of nutrients packed in a relatively little quantity of it, de- livering fewer calories and more vitamins and minerals. A serving of around two cups of kale contains a fifth of your daily calcium and fibre needs, iron, potassium, vitamin C, folate, vitamin A, vitamin K, and moderate amounts of vitamins E and B6, niacin, zinc, phosphorus, and magnesium. Check out the table below. 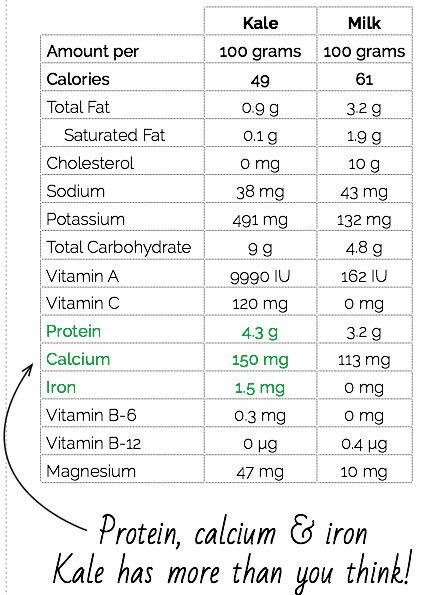 The difference between 3.5oz/100 g of kale and the equivalent in milk is remarkable. Kale has only 49 calories compared to milk’s 61 plus loads of nutrients. What is the best way to add kale to your diet? Raw kale can be the main ingredient in a salad, part of a smoothie, or you can steam it and enjoy it as a side dish with your main meal. Also, kale contains several fat-soluble vitamins (mostly A and K), meaning that fats are needed for your body to be able to absorb them. To increase their absorption, add a splash of healthy fats such as olive oil to your kale salad. 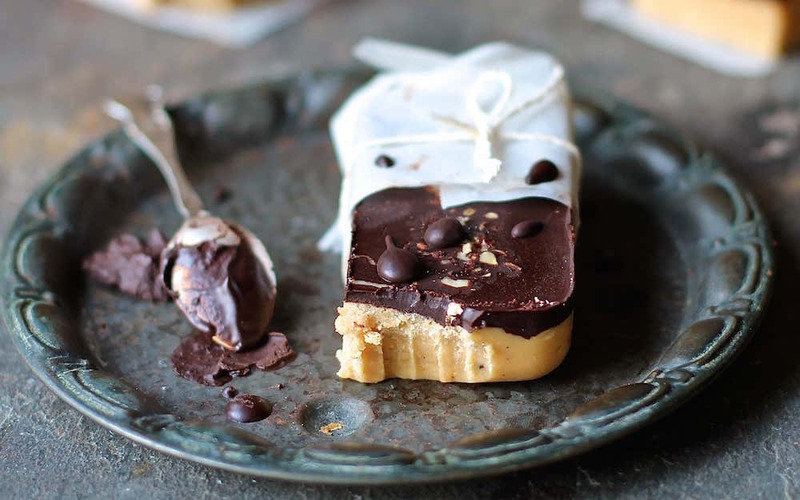 What about those pregnancy cravings? 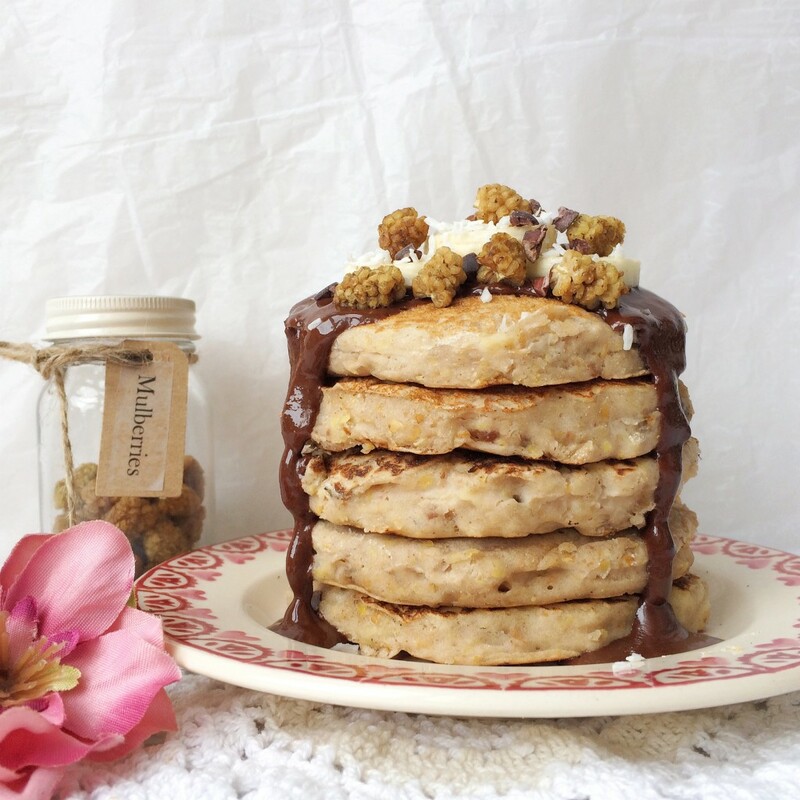 Cravings are one of the most common, and perfectly normal feelings in most pregnancies. Some cravings can be considered “benign” or even beneficial, such as those for fruits, vegetables, or other healthy, whole foods. 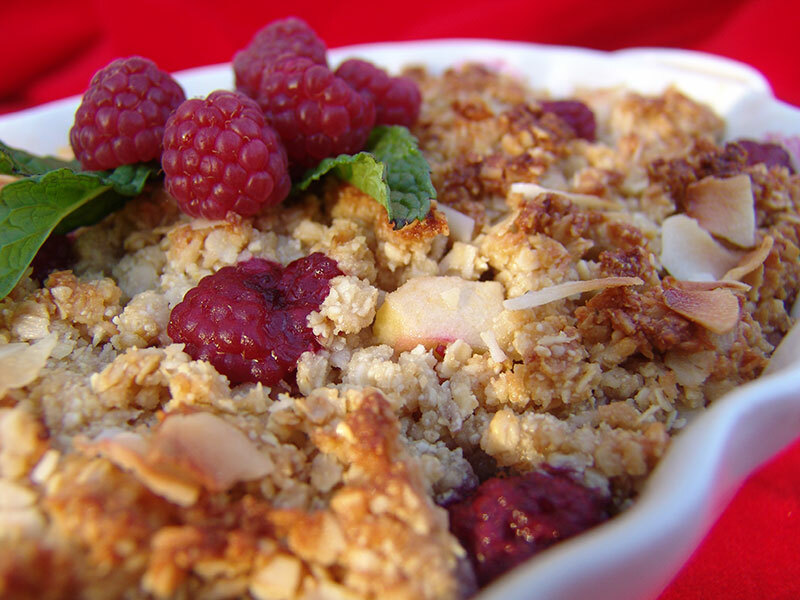 However, more often than not cravings are for “less healthy” food options. And while some may seem irresistible to fight off (ohh, the fried chicken! 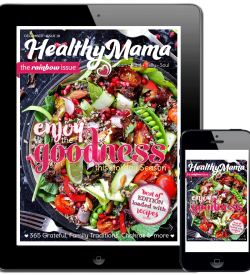 ), a few simple strategies can help to increase your odds of giving into a not-so-healthy cravings trap…all in the full Special Orange Edition of Healthy Mama Magazine by Nicola Avena and Regina Vaicekonte. 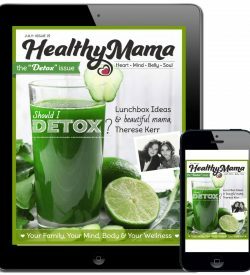 Join 1000’s of mama’s who are creating the best possible health for their families and their little happy souls. Enjoy your 7 day FREE trial now! 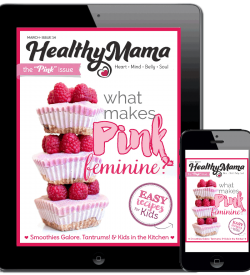 Subscribe Now to Healthy Mama Magazine on the App Stores below! 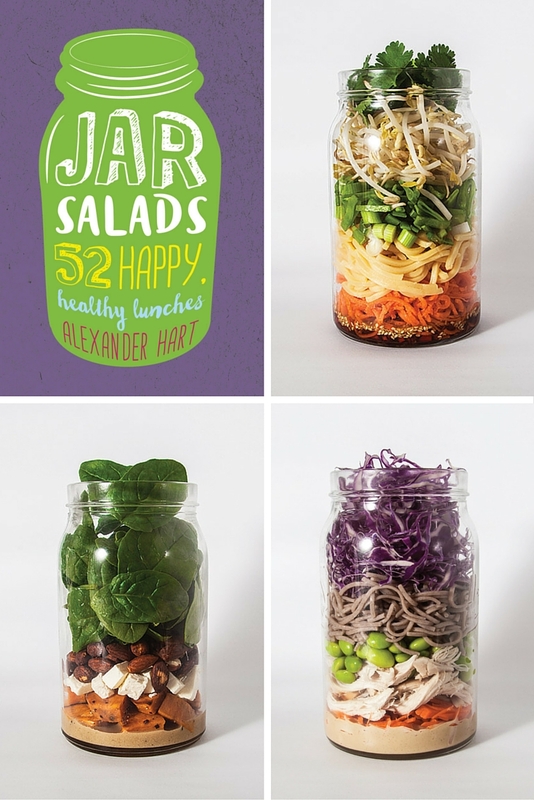 WIN a Copy of JAR SALADS! !